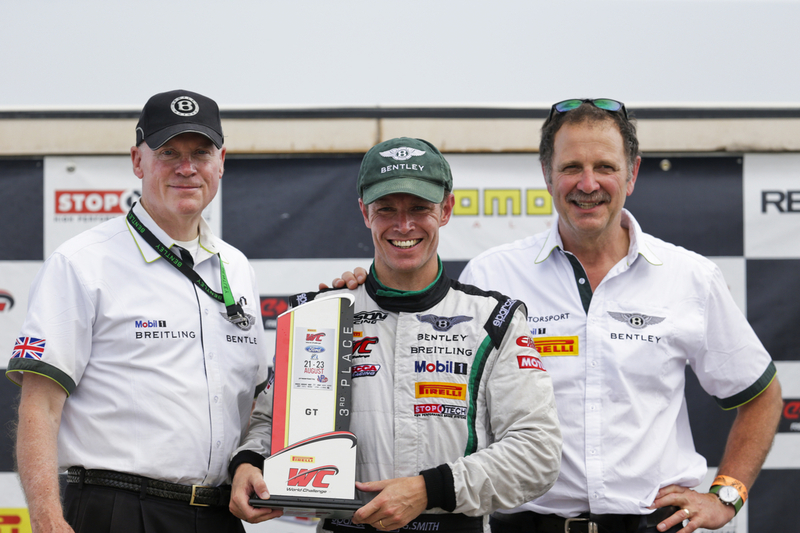 (Poughkeepsie, NY, 13 May 2015) Following a hard push, Bentley Team Dyson Racing returns this weekend in full strength to the Pirelli World Challenge at Canadian Tire Motorsports Park, a venue that has brought the team great success in the past. 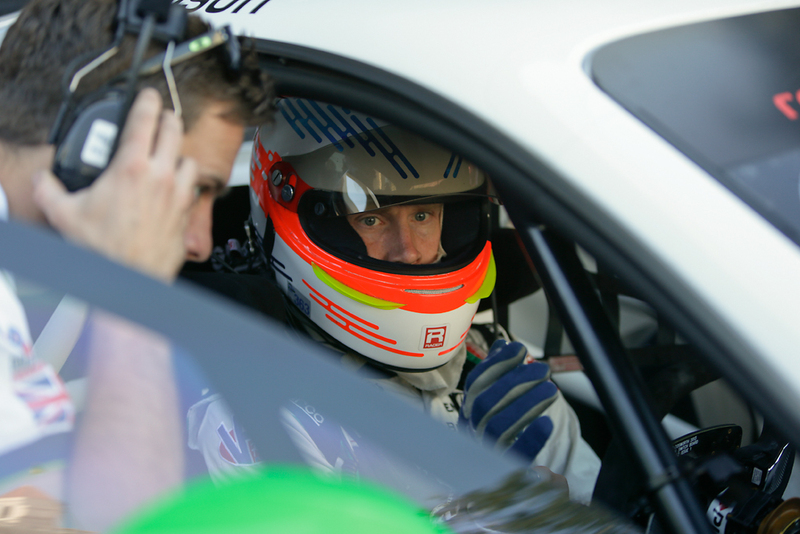 Driver Chris Dyson, a pole and race winner at the track when it hosted the American Le Mans Series, says it’s one of his favorite circuits, and one that’s well suited to the Continental GT3. 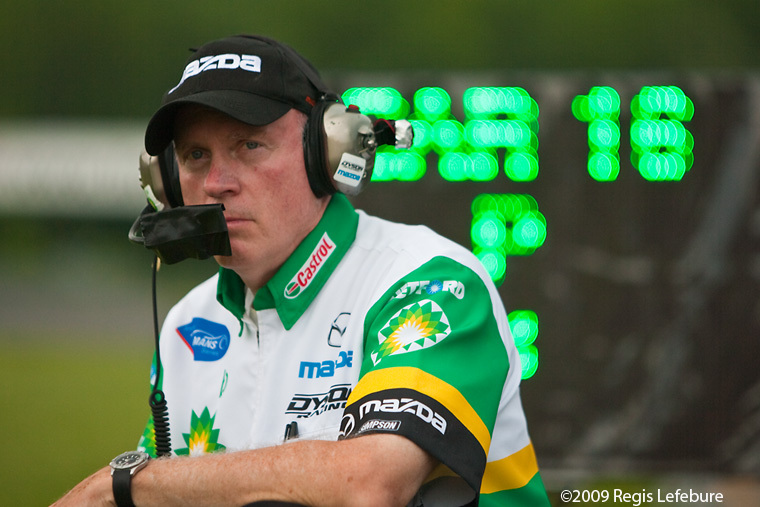 “I’ve always loved racing there. 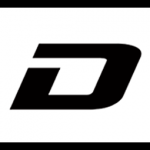 It’s very fast with lots of natural-terrain elevation changes,” he said. 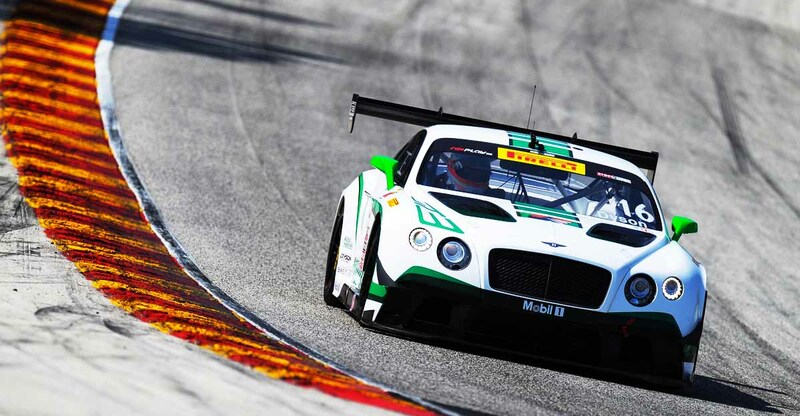 “The Bentley is great in fast corners and that will be a huge advantage at this track,” noting that the Continental GT3 has good acceleration and makes excellent downforce at high speeds, a major advantage at Canadian Tire Motorsports Park, where most of the turns are either fast or very fast. 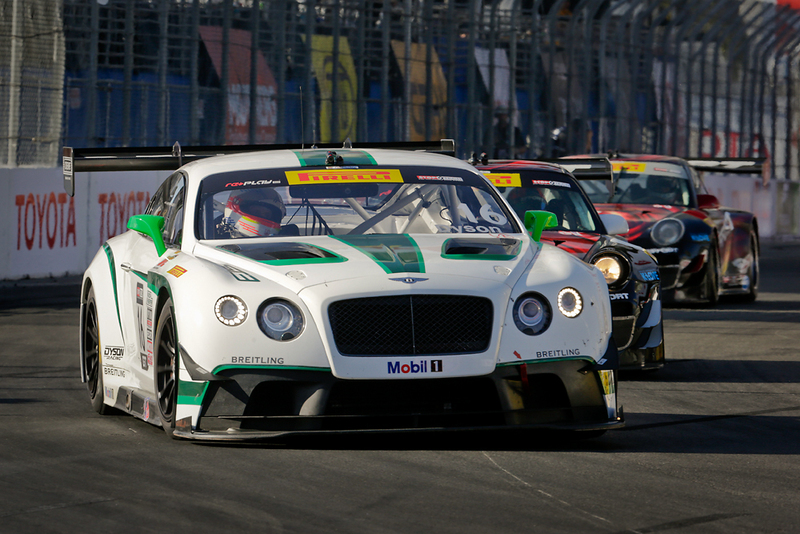 While Chris Dyson’s second-place finish in the #16 Continental GT3 last month at Long Beach, Calif. last month represents the team’s highlight of the season to date, it was also the race where an overambitious, video-gamer turned rookie real-world driver rammed Butch Leitzinger’s #20 Bentley into a wall. 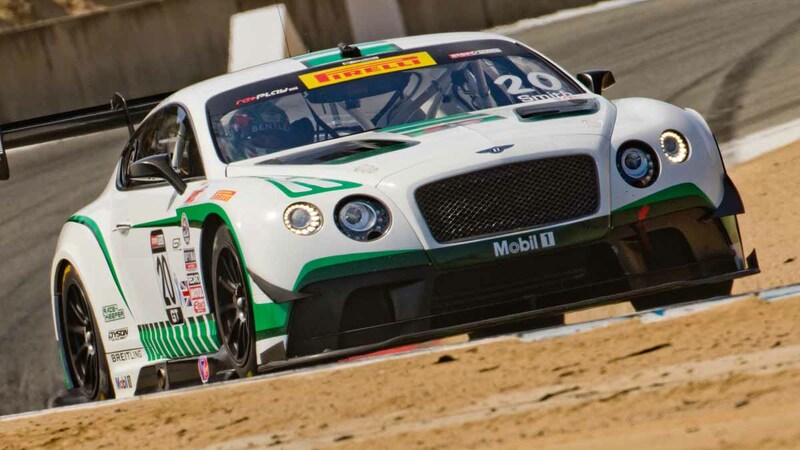 The damage was sufficiently severe that the car could not be repaired in the four days between Long Beach and the beginning of the next race meet at Barber Motorsports Park in Birmingham, Ala.
Leitzinger, a former race winner at the track during the days it was called Mosport, wasn’t exaggerating about the amount of work necessary to repair the #20 Bentley. Disassembly of damaged components – and there were a lot of them – began in the paddock in Alabama, where work on an inventory of replacement parts began. But the biggest challenge was dealing with the damage to car’s basic chassis structure, the unibody on which every other component is attached. According to team manager Mike White, the parts of the chassis where the suspension is attached were moved several inches and twisted out of shape as well. Had it been a road car, the insurance company would probably have written the car off. The first step was locating a high-quality collision repair facility with a frame machine where the tub of the car could be pulled back into its original shape. But because each corner of the car’s the suspension needs to be perfectly fitted to the chassis and in perfect relationship to the other three suspension assemblies, the precision necessary for the repair of a race-car chassis is substantially greater than for an ordinary road car. That meant bringing in a FARO Arm, a special portable 3D computer measuring machine, and a technician capable of operating it. Armed with a set of coordinates supplied by M-Sport, the company that developed the Continental GT3 for Bentley, the FARO Arm was able to guide the final elements in the five-day process of repairing the chassis.